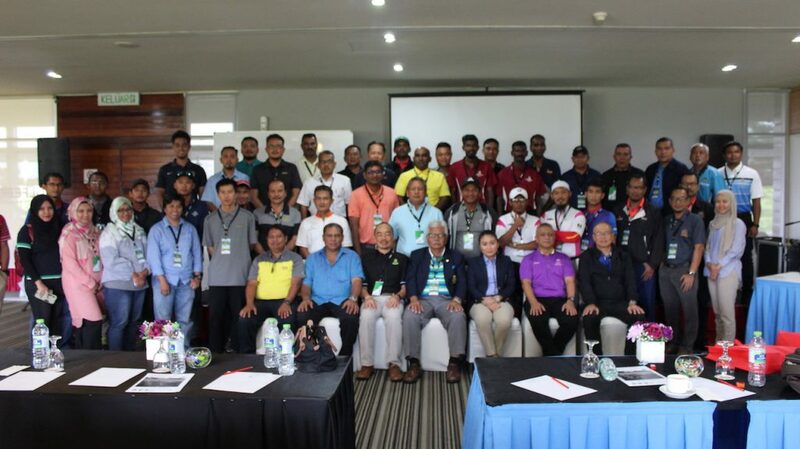 The Malaysian Golf Association (MGA) recently organised a Club Management Seminar on November 12, 201,8 at the Horizon Hills Golf & Country Club, catering specifically for Johor and the neighbouring golf clubs. More than 20 club employees attended the seminar, which featured local speakers like Mohd Rom Muslim who is the MGA Education Subcommittee Chairman and currently lectures at the University Utara Malaysia. Mohd Rom Muslim touched on topics such as how to communicate well for front liners like marshalls, starters and receptions. Another local speaker who is not a stranger in the golf industry is Normas Yakin popularly known as Pakar Rumput, talked on the how the front liners should communicate to members and guests to better get their information across as accurately and politely as possible. Mohammed Ishak, the General Manager of Kelab Golf Negara Subang also lent a hand by delivering a topic on the trends and challenges in the golf industry and how to manage them. Gary Tay, the CEO of Amphibia Digital Sdn Bhd presented a topic on how golf clubs can use social media to promote and market their golfing and non-golfing facilities. The last speaker was Mohd Anazem Ibrahim from the Ministry of Youth & Sports who briefed the delegates on the Certification Programs available at the Ministry for golf club employees. The Turfgrass Management Seminar, which was also held at the same time covered several issues of golf course management, including turf management. 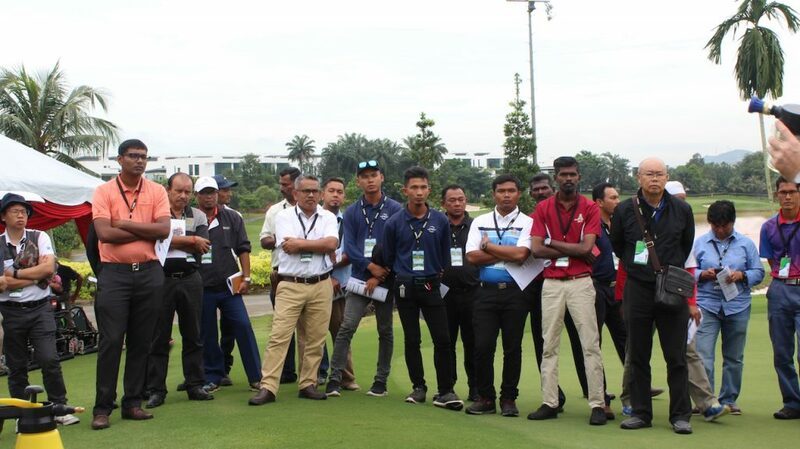 Normas Yakin and Jack Cheong, the Course Superintendent at the Royal Selangor Golf Club were on hand to lend their expertise to the subject. The session focussed on a variety of subjects including the five common mistakes to avoid on the golf course, budgeting and meeting member’s expectation, greenspeed and managing low light condition as well as turf diseases and how to identify and provide early treatment. A field day was also held in conjunction with the Turfgrass Management Seminar, the third to be organised by MGA. Efficient turfgrass management sytem, along with displays of the latest machines by Jacobsen and Gulfrich Corporation and Jebsen & Jessen while Sports Turf Solution brought latest turf solution technology to the field day.